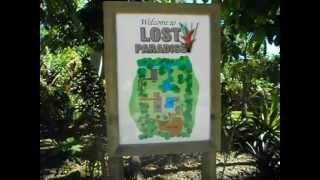 Lost Paradise is located close to Mission Beach. This one cabin mini resort offers you privacy and is very exclusive. 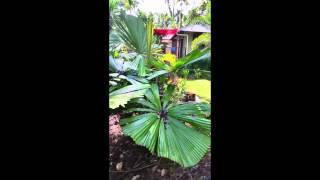 If you are looking to escape and indulge in privacy and seclusion Lost Paradise offers you this. Swim in the pool; relax in the hot spa with a glass of wine. So if a romantic getaway is what you are looking for, they guarantee that you will love it and will not want to leave this Lost Paradise. This one cabin mini resort offers you privacy and is very exclusive. If you are looking to escape and indulge in privacy and seclusion Lost Paradise offers you this. Swim in the pool; relax in the hot spa with a glass of wine. 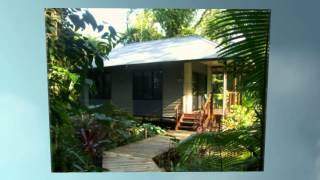 Cabin One is a private cabin set in amazing gardens in lush tropical rain forest. Totally private and secluded, the perfect place to get rid of those tan lines with your partner. Lost Paradise is a special place like no other. The perfect romantic getaway.